Successful print projects require successful collaboration. We are available to work with you to define exactly what you need to organize a project. The links that follow are a head start and some are more detailed than others. If you are uncertain how to structure your request, complete what you can and let us know where you need help. We will always reach back to you to confirm next steps, inform cost and recommend pathways that may serve you well. Be sure we have a good contact phone or email so we can reach back. The most important part of getting the best result is making sure we know what you need. A. Carlisle is a custom print production shop. The following quote options are just the beginning of what is possible with our team. Let’s get started. 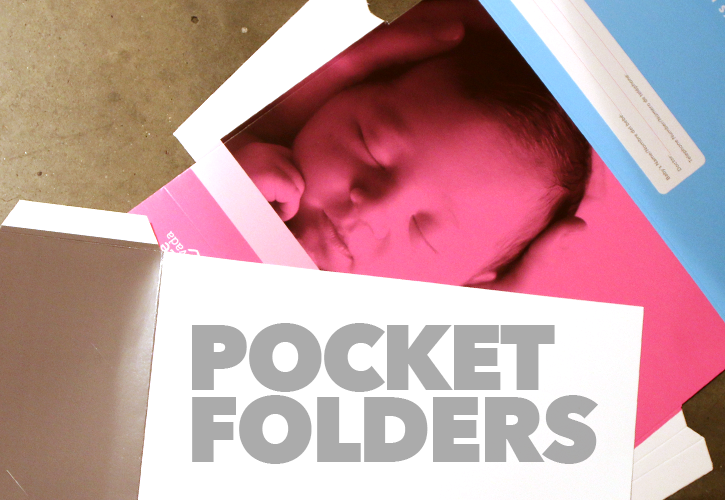 One, two or more pockets, horizontal or vertical, a folder can be built to serve specific needs. It can be sized to specific purpose. Printed one side or two, with added metal foil stamp or emboss features they can be simple to quite grand. And don’t forget the paper itself can contribute both color and texture to a unique folder. We have a large array of house dies for common folder cuts. A specialized die will be ordered for your unique solution. Start building your folder. Not everything belongs on the WWW. People still love the look and feel of well made magazines and catalogs as part of the information and purchase experience. 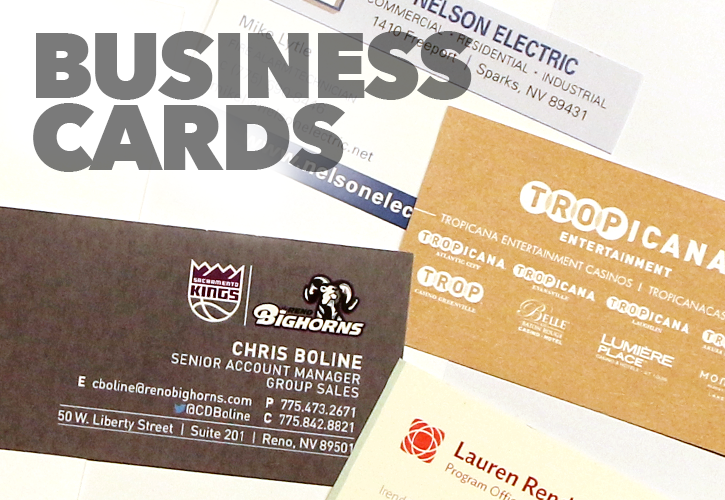 They are very important tools to make a great impression for your event, company or program. This is one area where experience really does matter. Slight size changes and format options can improve cost. Choice of paper, creative ink solutions and finishes combine to add WOW factor. Give us a head start on the details and we will add our wealth of knowledge to put your best words and images between covers. 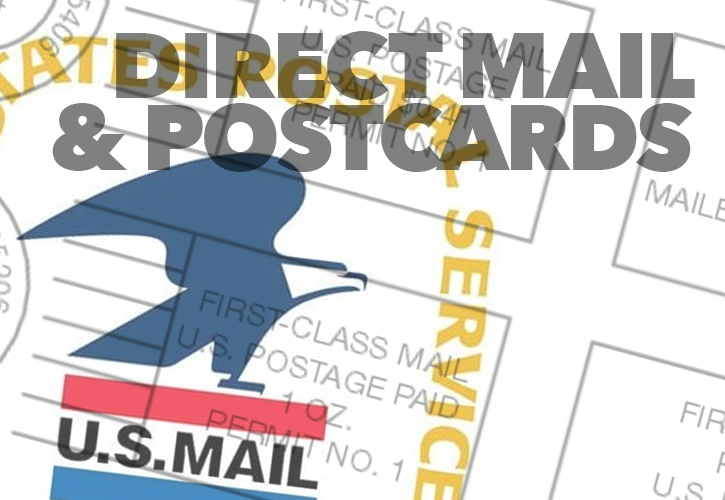 It’s not easy to keep up with USPS rules and reg’s but we do our best to make you’re your rack cards, postcards and mailers all fit the guidelines needed for success. The following tools will help you set up a card request. If you need something more elaborate let us know. There are always ways to set your card apart from others with a few tricks of the trade, options and opportunities you may not even know exist. Variable data is not out of the question. Event tickets, coupons and gift certificates are also possible. If you need assistance getting your project into the Post Office, we can help with that too. In an age of digital navigation, a map may seem like a stone age tool. They have advantages when battery’s die and internet service is abscent. As a marketing tool, they can also be valuable and effective at delivering your message. You can add perforation and coupons to edges for additional enhancements. 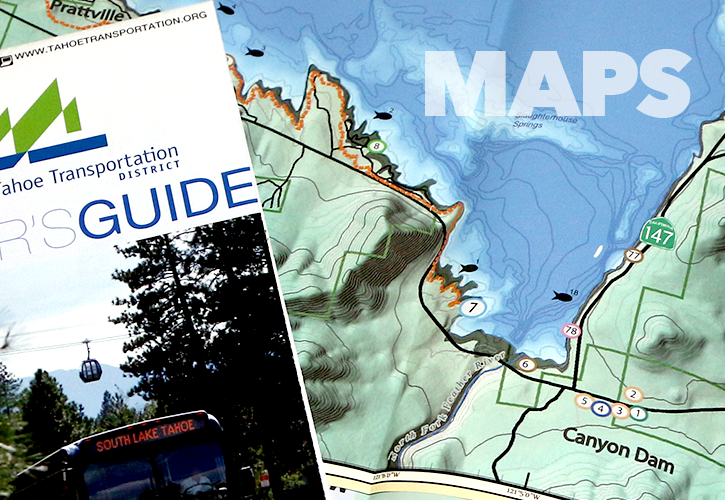 Maps can land on traditional stock or synthetic for those who need an indestructible and waterproof solution. We print and fold synthetic stock. Need to get somebody’s attention! 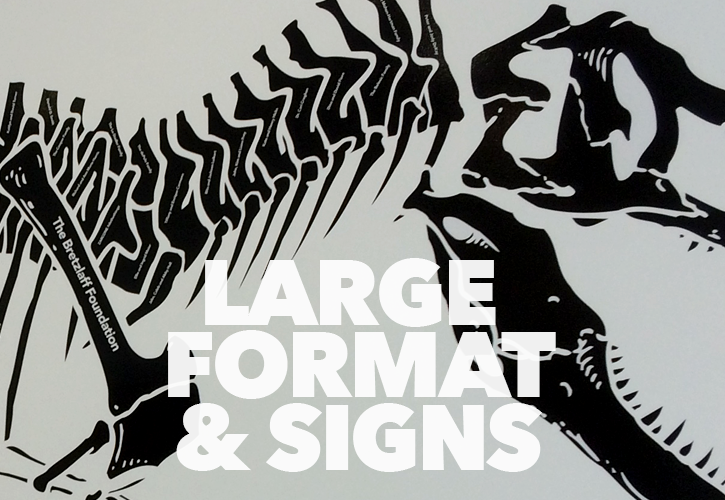 How about a very large banner or adhesive vinyl option. We provide a variety of solutions in large format to grab attention at meetings and events or to promote a cause. In addition, we are the regional representative for Orbus, the leading event and exhibit product supplier. If you need a table cover or a complete exhibit booth with flying signage it is all possible. Let us know what you need and it can be coordinated. In large format we also plot cut, create back lit transparencies and many other unique options to support your marketing and information messaging needs. First impressions are still the key to getting a foot over the threshold. A distinctive solution can be simple black ink on white stock if the choice of stock is luxurious. Complicated finishes, laminations and layered effects are still very much part of setting yourself apart. Combinations of ink, foil, emboss can all add interest. The more we know about you, your company or your product, we can tailor your options for a spectacular card to help you put your best foot forward. 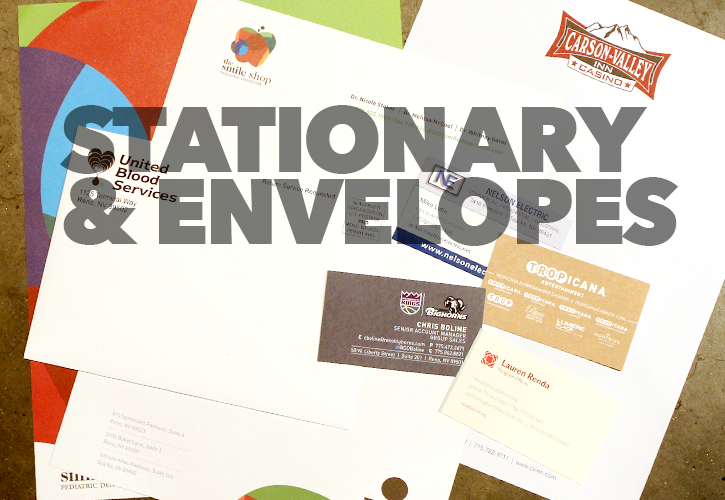 Writing is a lost art in the world of keyboards and instant messaging but when you need to reinforce your brand standard there is no better tool than letterhead, envelopes, cards and a consistent message. If you are unsure about the many options you have to define your look we are here to help. Your request might be an event or wedding invitation for 25 or 25000, personal stationary for those who still love a good fountain pen or a corporate program to define who you are to the world remains the very best way to set your standard. 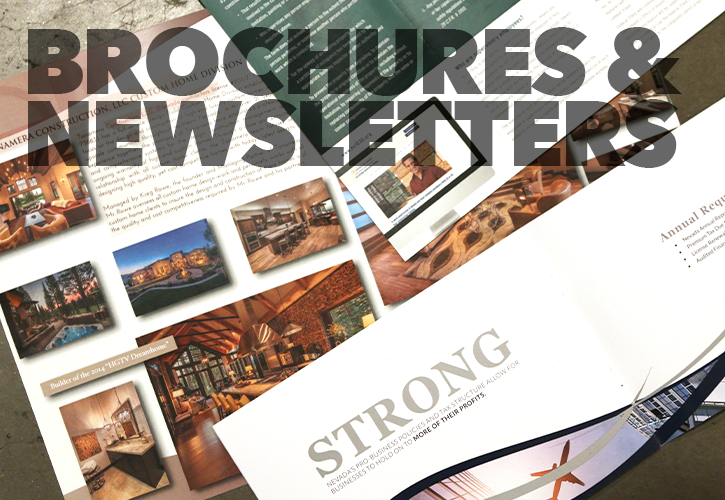 Key to sales and marketing success, a brochure is often the best way to communicate what your message. 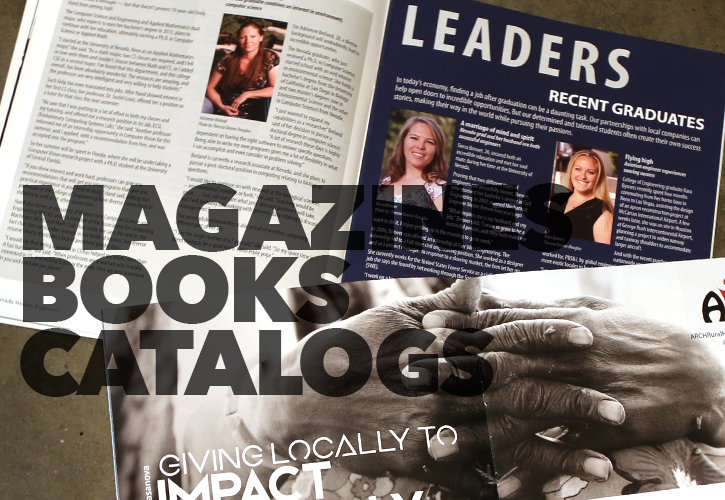 A newsletter is still one of the best ways to inform a large audience of common goals and information to a community. Often folded in unique and interesting ways to further develop an idea or presentation, a brochure is a great asset. If your brochure or newsletter needs to package in an envelope or drop into the post office, just let us know. Hmmm… is it hills or valleys? Shaping the paper whether printed or not is an effective way to add interest. Sure, it adds cost but it also adds value. 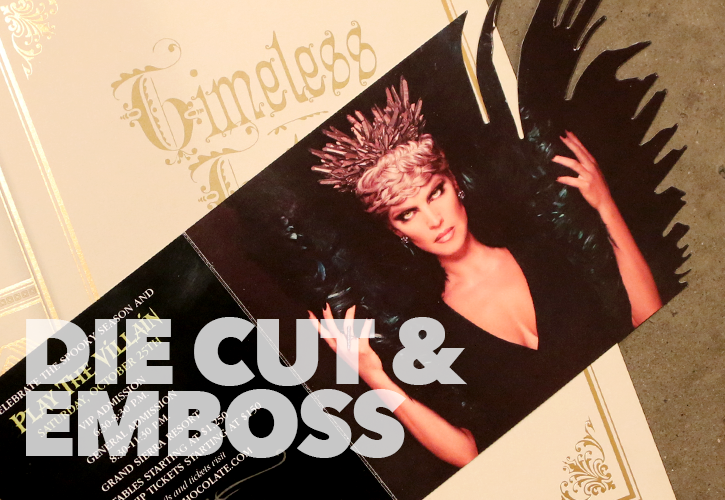 A raised surface -emboss, or sinking a groove or panel shape into a card – deboss, are both great ways to add character to your printed material. Die cut options can turn something ordinary into something extraordinary. All of these features require an investment in dies to create your desired effects. Be creative! Think outside the box. It never hurts to ask how adding one or more of these shape cut or impressed features can add to the overall success of your project. Keep in mind, you own the die. It is a one time cost that retains its value forward into other projects. One of the easiest ways to market is to land your information on a very useful tool. 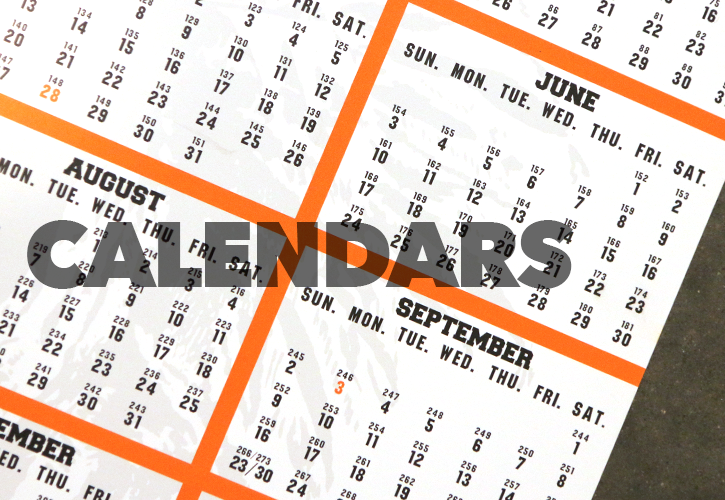 Nothing is more useful than a smart looking calendar. Tailored to your specific needs this is the piece that just keeps on giving month after month. Be thinking about starting early though, Calendars should be finding their way into cartons for delivery in the fall. You want to start early in order to deliver to your target audience ahead of the New Year. Don’t forget, we also print magnetic stock to make your piece even more useful.